What is it: Infused with flecks of metallic shimmer, this stardust-like shadow delivers a sheer wash of color and light-catching sparkle. 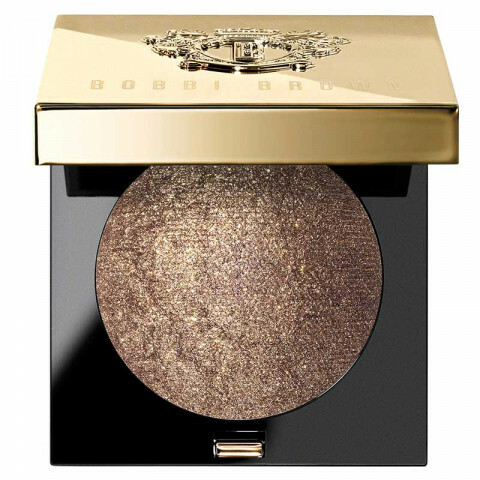 Faux-gold compact features a mirror and embossed crest. Available in four new shades that can be worn day or night. Why is it different: The densely pigmented, pearl-infused formula provides a lightweight velvety texture that applies easily and blends seamlessly. Can be worn alone or layered to create a multidimensional effect. How do I use it: Use an Angle Eye Shadow Brush (sold separately) to dust shadow on lids. Build color as desired. For the longest-lasting wear, apply over Long-Wear Eye Base (sold sep-arately) or a neutral, matte shade.